The Roland CB-BRB1 Case for a Single Boutique Module uses a durable, protective construction to house a single Roland Boutique Module. The soft interior offers protection from bumps, scuffs, and scratches to keep your Boutique Modules in perfect condition for when you need them most. 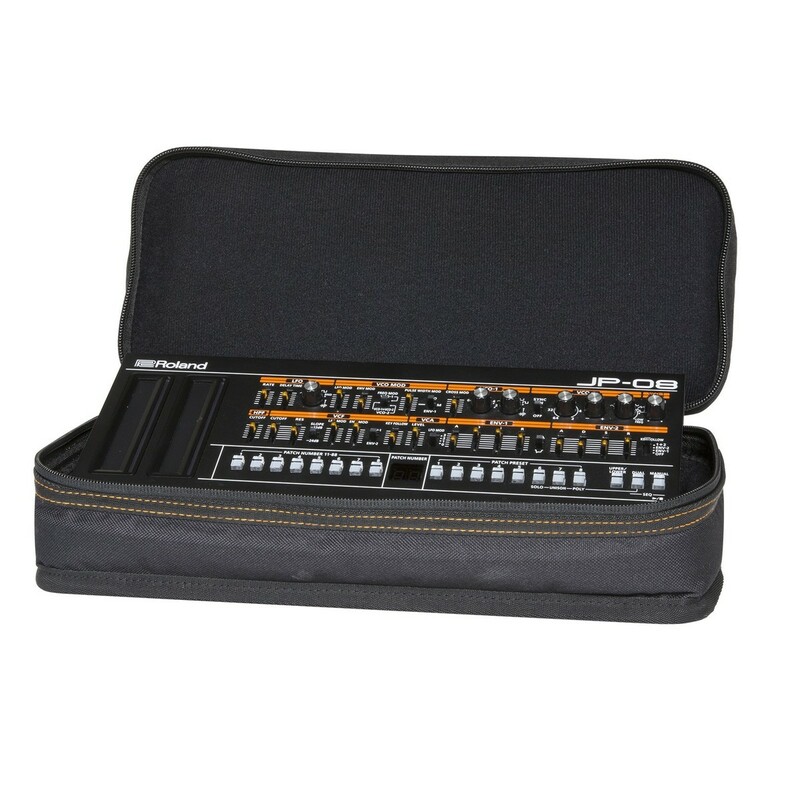 With large zips for convenience, the Boutique Module Case allows for easy transportation of a Roland Boutique Module. The Roland CB-BRB1 Case for a Single Boutique Module is a durable case for a Roland Boutique Module, essential for traveling/ touring DJs and producers. 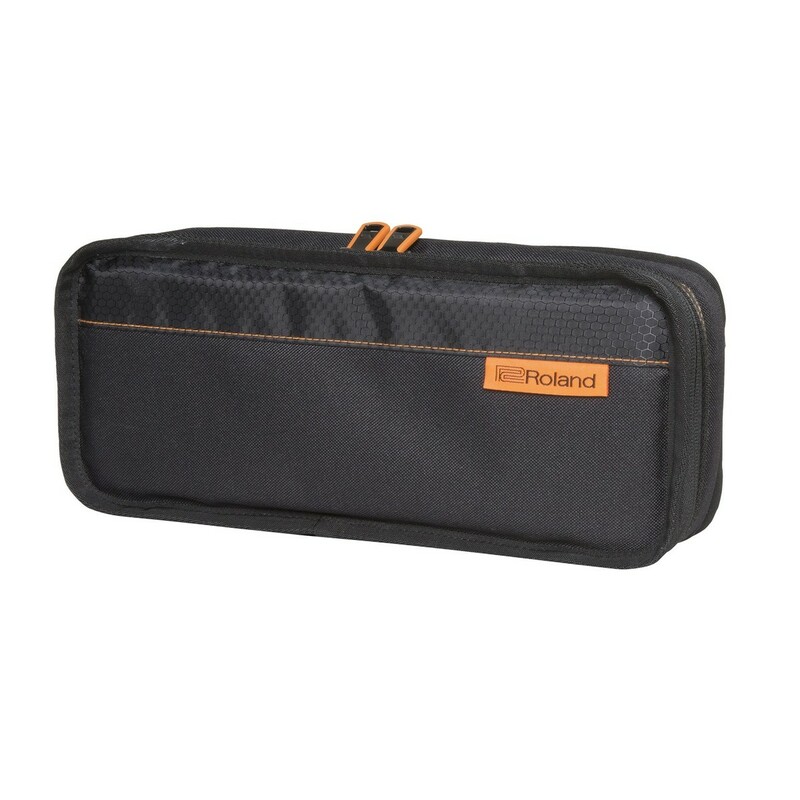 The case features a compact form factor to allow for storage within other bags and cases and also provides quick and easy access to the main zips on the outside of the case. The CB-BRB1 Case also features a soft interior to provide sufficient protection to your Boutique Modules during transport and to ensure they are ready for action whenever you need them. Featuring orange accents and Roland branding, the Roland CB-BRB1 Case for a Single Boutique Module is a smart and effective way to transport your single Boutique Module. If you require a carry case solution for multiple Roland Boutique Modules, please see the Roland CB-BRB3 Case for Multiple Boutique Modules.